I received a gift voucher the other day, it was the typical DL size certificate that was valid for $50 at the given store. I really appreciated it, however it got me thinking - Why don't stores actually make their gift certificates actual gifts? I mean wouldn't it be more enjoyable for the gift giver to be able to wrap something substantial up as opposed to simply giving an envelope? 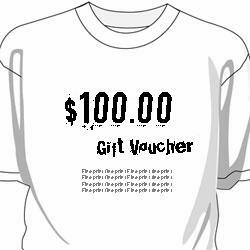 For example couldn't a clothing store actually print t-shirts which are the actual gift certificate - It wouldn't cost more then $5.00 per t-shirt to produce but I bet they would sell 10 times as many gift certificates because they are unique and are tangible. A Shoe store could embroid the gift certificate into a sock? A Hardware store could engrave small shovels? A Hairdresser could engrave a small hand-mirror? 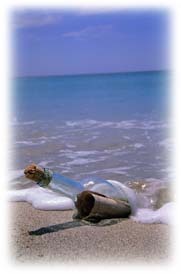 A travel agency could create a 'message in a bottle' style gift voucher? $5 per tshirt isn't all that cheap. I liked the travel agent idea though. Would look fantastic being unwrapped.